Speedlight Pro Kit’s latest innovation, a flash-mounted 46cm beauty dish, is being launched in Europe. Designed for portraiture, the beauty dish consists of two key elements; a large white collar and an inverted silvered cone mounted within. 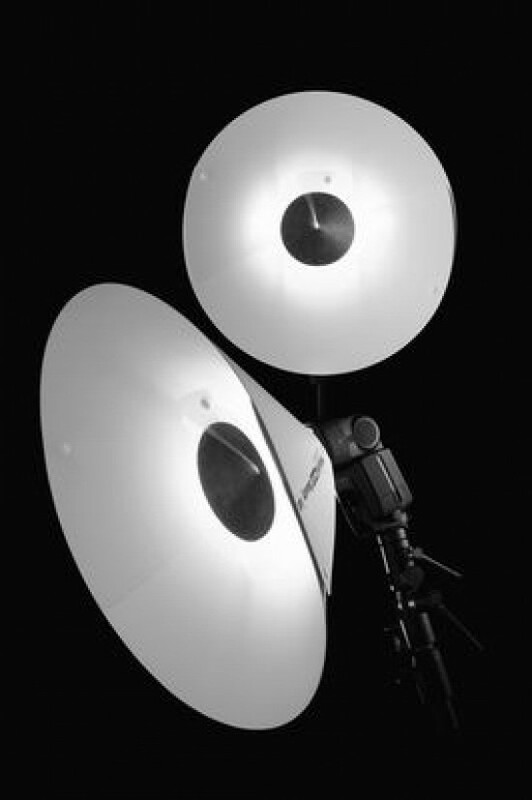 The dish is fixed to the flash so that its light is bounced back off the cone’s silvered surface onto the white material giving an even and flattering lift to the subject. The opaque central portion of the cone diverts away light from the centre, thus eliminating hotspots and harsh shadows. The beauty dish retails at £52.00 via the website below. Speedlight Pro Kit adds Beauty Dish to its flash modifier range. Speedlight Pro Kit’s latest innovation, a flash-mounted 46cm beauty dish, is being launched in Europe. Designed for portraiture, the beauty dish consists of two key elements; a large white collar and an inverted silvered cone mounted within. The dish is fixed to the flash so that its light is bounced back off the cone’s silvered surface onto the white material giving an even and flattering lift to the subject. The opaque central portion of the cone diverts away light from the centre, thus eliminating hotspots and harsh shadows. The dish is effective in a stand off position yet is also light enough to be handheld very close to the subject to improve the softness of the tone and the light intensity. Made for professionals and enthusiasts who want to get studio quality lighting effects from flash the dish is designed to be easy to stow and carry. As with the rest of the Speedlight Pro Kit range, its components fit together with poppers and are strapped to the flash with high quality Velcro strips and rubber grips. It’s quick to assemble and simple to break down.